to the spinal muscles and joints. It's safe to be used for patients with spinal disc-related pains as well. Unfortunately, back and neck pain is so rampant and prevalent that it's estimated that about 20-33% of the population has back and/or neck pain at some point in their lives. In fact, even children may suffer from back pain, either caused by playing sports, being active or back pain due to school bags. is it uncomfortable? how will the session be done? Patients will be fully clothed, and usually lying face-up on a specially-designed medical bed, and either your back or your neck will be connected to the traction machine. The traction machine will be setup by your specific senior physiotherapist who has treated your condition, to the level of decompressive traction force that your back and neck will benefit from. There is also a safety stop button (which though which has never been used before), to stop the machine in the event of discomfort or pain. The decompressive traction machine provides a deep traction that's so comfortable and relaxing that most patients nap/snooze/sleep on it. really, patients fall asleep using traction. Question: won't that be uncomfortable? Frankly, patients who has back or neck pain...usually are in pain most of the time. Hence "being in pain" is their usual experience, and it wont be surprising that they already cant sleep well because of the disruptive nature of pain. 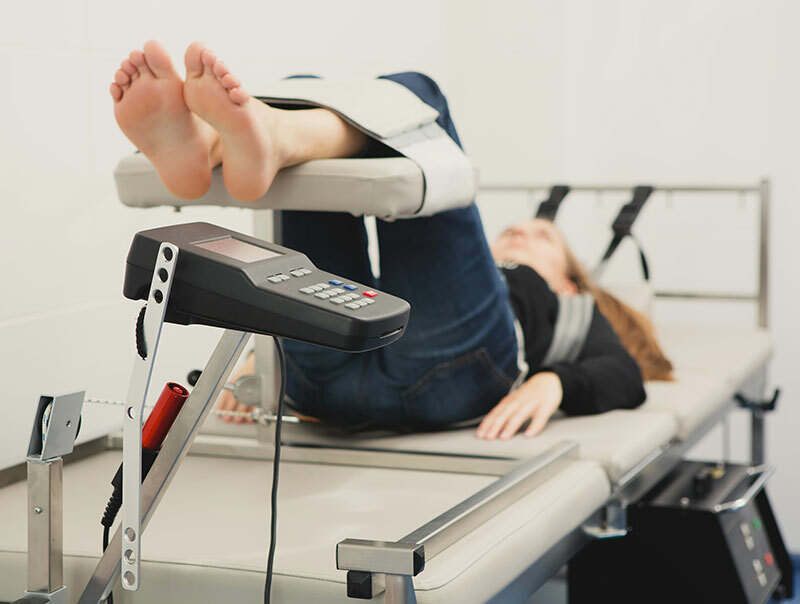 With the decompression traction therapy, even though it may "look" uncomfortable, but the real experience is that it may help reduce pain or provide such pain/ache relief that is deeply relaxing and that's why patients can truly rest at the machine. Patients often finish the session very refreshed and has decreased pain. How many decompressive tractions sessions would you need? Conservatively, you can assume between 6-12 sessions. Some patients will take much more than that (we have patients coming in regularly for months and years), some may take a couple of sessions. 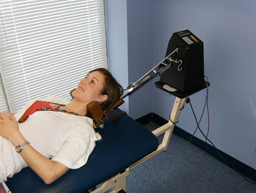 Is spinal decompression really safe? It's a commonly used equipment in most private and public hospitals, and it's compliant with the US FDA restrictions. - patients should be generally be safe.